African elephants have a conservation status of “vulnerable” – meaning their species is at risk of extinction. Luckily, there are organizations and groups that trie to bring them back from the brink in order to protect the giant creatures. In order to do that, one specific organization had to transport 500 of the animals across a distance of 150 miles. African Parks is a group dedicated to the conservation of wild African animals. They were founded in 2000 and manage 15 national parks that protect around 10.5 million hectares of land over nine countries: Chad, Malawi, Central African Republic, Zambia, Mozambique, Republic of Congo, Rwanda, Benin, and the Democratic Republic of Congo. They aim to protect the land and its animals, as well as to support the surrounding communities ecologically, socially, and financially, in order to help them become more sustainable, and therefore, helping to protect animals and the environment. African Parks assumed responsibility of Majete, a reserve in Malawi, Africa, in 2003. 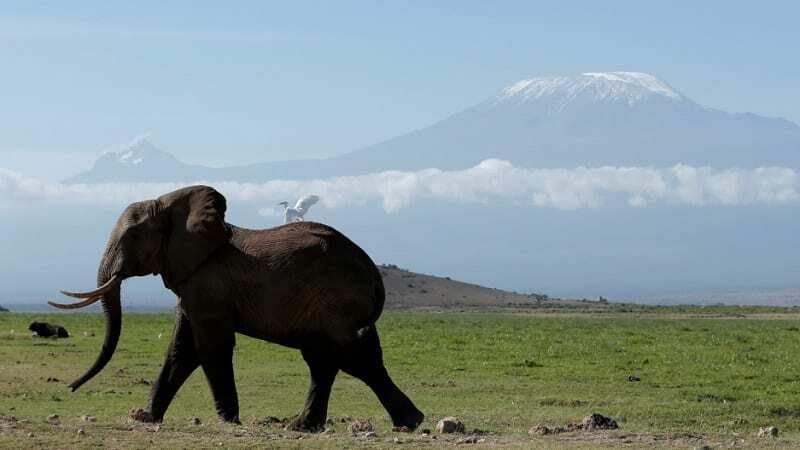 The area had lost its entire population of elephants, and in the following years, African Parks reintroduced over 400 elephants which have been thriving in the area ever since. 2015 saw African Parks take over two other parks, Liwonde and Nkhotakota. 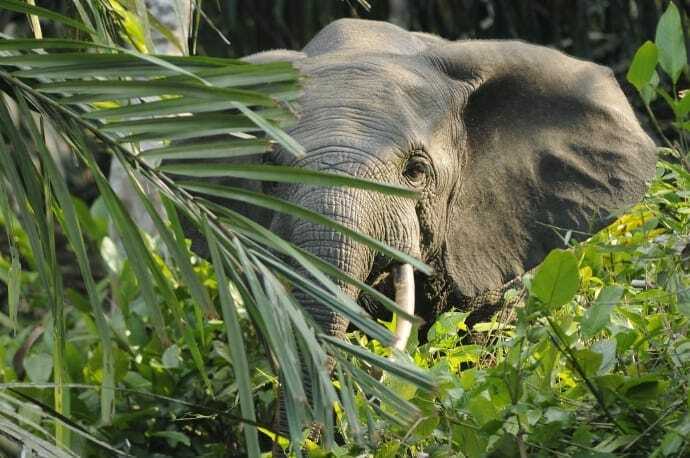 Liwonde now has over 575 elephants, thanks to the organization, and Nkhotakota has more than 360, despite having dropped from over 1,500 to less than 100 before African Parks took it over. 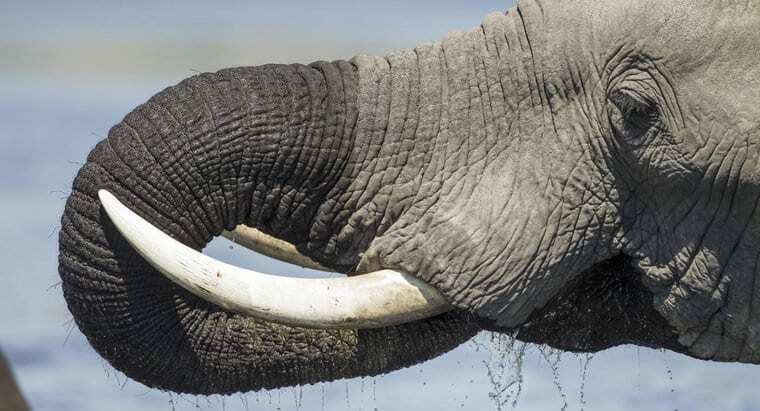 The Convention on International Trade in Endangered Species of Wild Fauna and Flora (CITES) implemented a ban on the trading of ivory in 1989. This ban was put in place after approximately 100,000 elephants lost their lives to poachers each year, and roughly 80% of herds were lost by the 1980s. 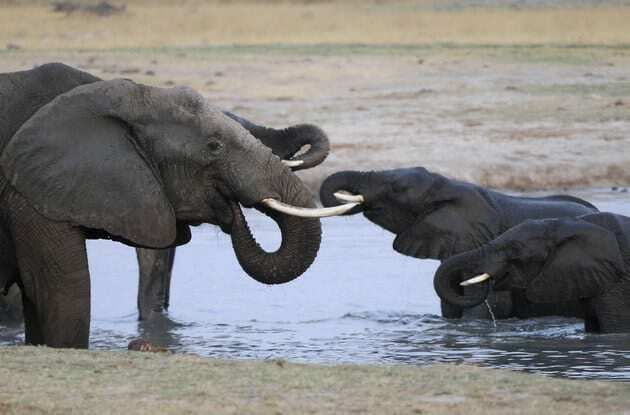 However, illegal poaching, unfortunately, isn’t uncommon, and elephant populations are still largely at risk. In many countries, weak law enforcement and masses of corruption cause people to turn a blind eye to poachers and illegal ivory trading. Though organizations have made considerable improvements to the habitats of elephants, by protecting much of their land, habitat loss remains a huge threat to elephant populations. Due to growing human populations, more and more land is being used for housing, agriculture, and resources. This, therefore, takes away, and destroys, much of the land in which elephants reside. Organizations cannot conserve all land that elephants inhabit, sadly, and so they are not completely protected by law. This forces them to move to new, potentially unprotected, unsuitable, or fragmented land. As humans take over more of the land, elephants get left with less of it. When land, which once belonged to nature, becomes agricultural land, it is inevitable that wildlife will find its way back. So, when elephants spy fields full of luscious crops, they usually head straight on over, often resulting in their demise, either by self-defense, or retaliation. During African Parks’ elephant translocation, for example, they discovered a staggering number of elephants with bullet wounds in their ears. By definition, translocation is when something is moved from one place to another, and in this case, it’s over 500 elephants. Translocation in wildlife conservation is expensive and requires huge numbers of staff members, volunteers, experts, and resources. It is a form of management strategy which broadens the range of locations in which a species resides, to increase population numbers and decrease the risk of extinction. Team members must be highly trained in the process, but when done correctly, human-assisted migration can be the best hope for vulnerable animals. 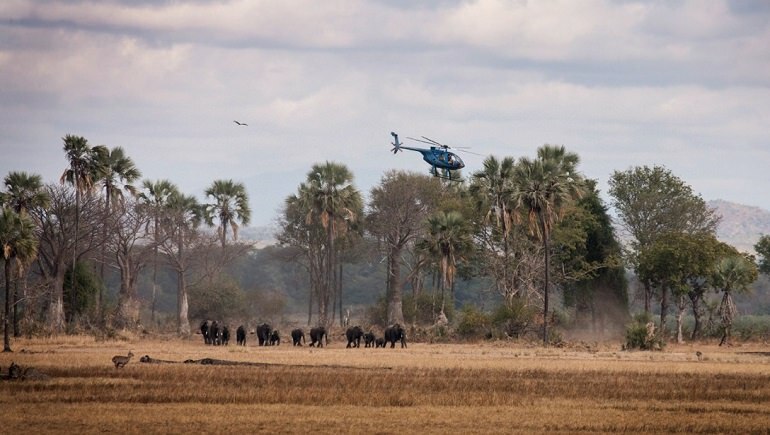 To decrease human-wildlife conflict, and the further decline in elephant populations in Majete and Liwonde, along with increasing the struggling population in Nkhotakota, African Parks took on the challenge of relocating 500 elephants. 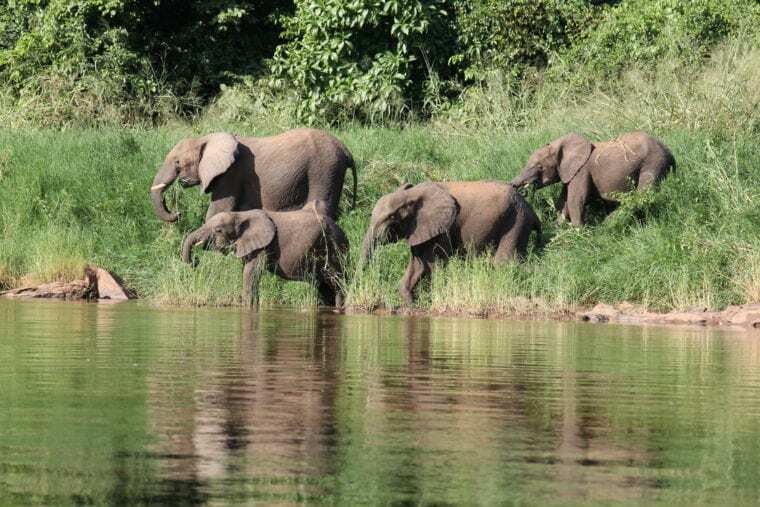 350 elephants from Liwonde National Park and 150 from Majete Wildlife Reserve were translocated to Nkhotakota Wildlife Reserve, in an attempt to help the population all around. Each elephant traveled over 150 miles to its new home, requiring extensive resources and handler training, in the hopes that the population would prosper once more. 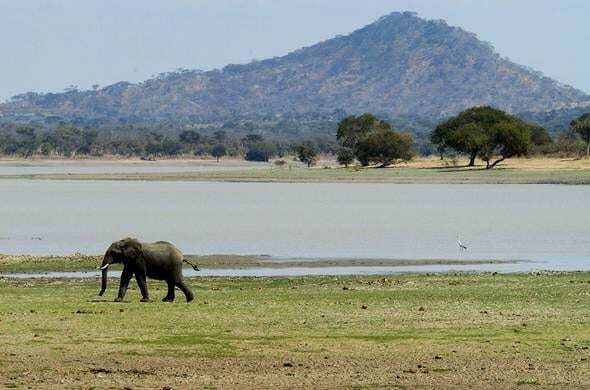 Nkhotakota Wildlife Reserve, which was soon to be the home of the 500 migrating elephants, is a picturesque reserve beneath the Chipata mountain. Comprised of an intertwining web of forests and rivers, this park is the perfect home for the elephants. It is roughly 1,120 miles-squared and has a specialized ranger team protecting it 24 hours a day. 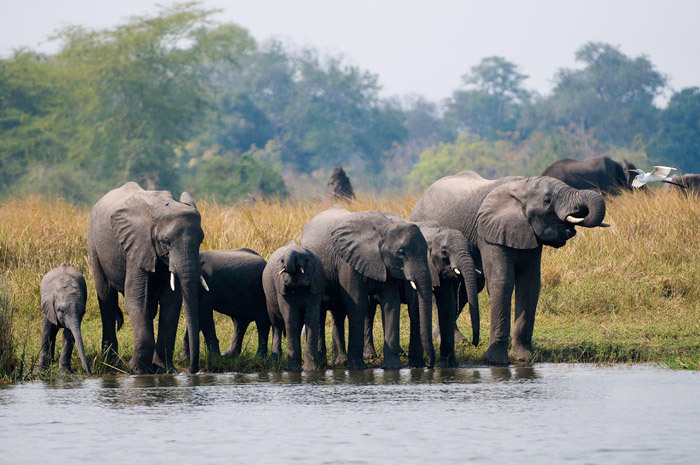 Since its restoration and reintroduction of hundreds of elephants, tourism has increased dramatically which helps greatly to preserve the wildlife of Malawi. In order to take on the mammoth – or elephant – task, African Parks enlisted the help of Conservation Solutions. They broke the translocation down into smaller chunks, moving over 260 elephants from Liwonde in 2016, and the remaining 150 in 2017. They also moved the 150 from Majete in 2017. The total distance of the entire move equated to around 77,670 miles. To try and get your head around such an enormous number, put it this way – that’s three times around the entire globe! Leading up to the huge, two-year project, Malawi had to undergo some changes. The country’s infrastructure would not have coped under the pressure of transporting elephants such a great distance. Therefore, before relocating the pachyderms, African Parks had to ensure that everything was prepared. Roads and river crossings were repaired and replaced, so that they were easily accessible and as safe as can be so the elephants wouldn’t have to travel hundreds of miles on bumpy roads, or over bridges that could easily give in under the weight. Even though the elephants were, of course, the main aim of the project, they weren’t the sole focus. 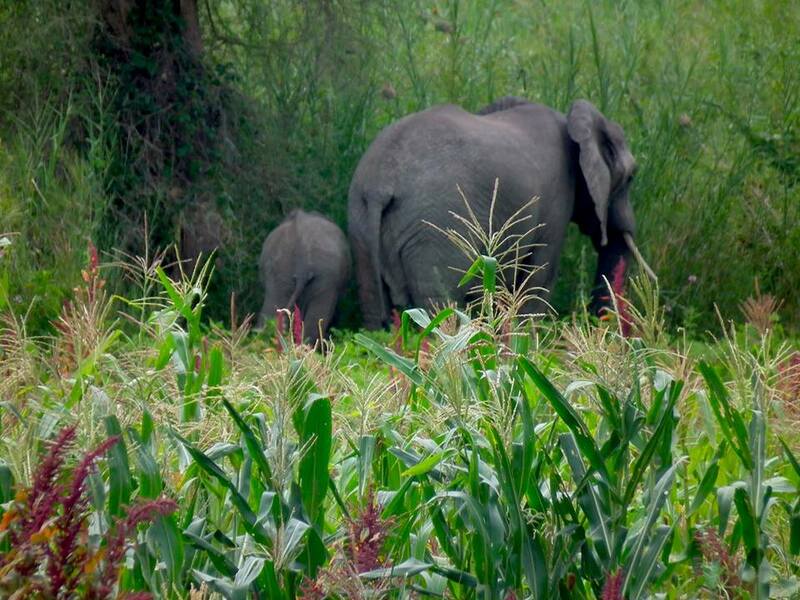 Due to the conflict between locals and the elephants destroying their crops, the move significantly improved the lives of the local residents who could rest easy knowing their farms were safer. The improvements made on Malawi’s infrastructure and fencing in Nkhotakota also provided hundreds of employment opportunities for locals, and became invaluable for the country’s tourism and the strain it had already placed on Malawi’s roads and land. 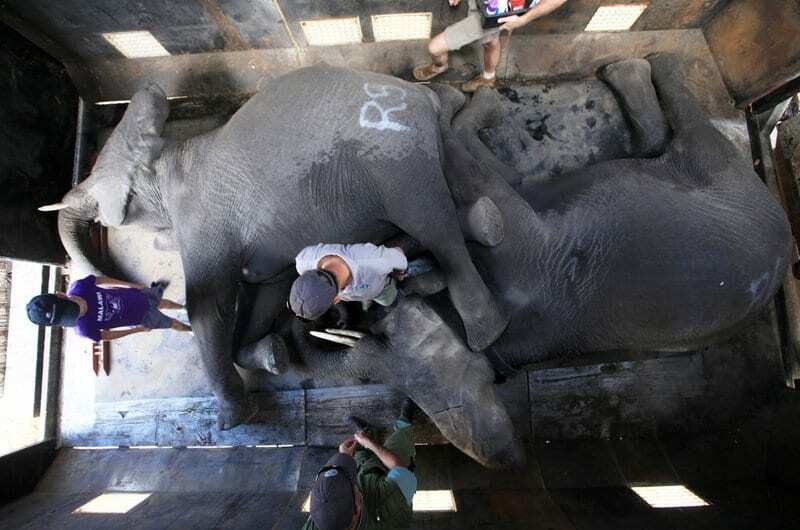 The first step in the translocation of so many elephants was arguably the most difficult and complex. 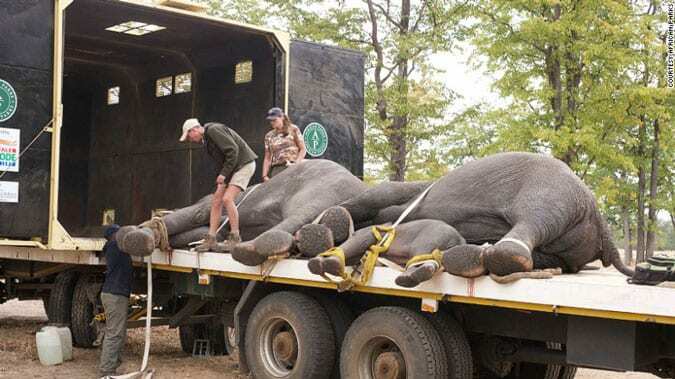 This involved sedating the elephants, in order to get them on the ten 30 ton rig trucks. 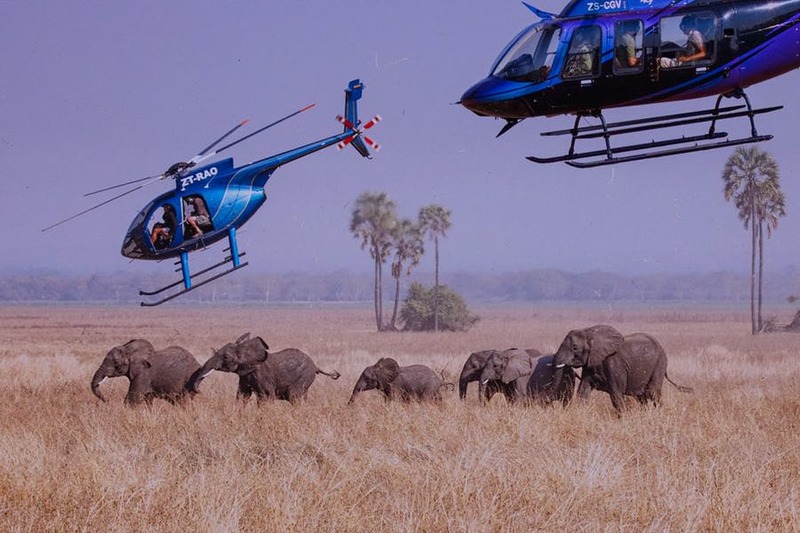 Teams flew helicopters above the elephant herds while shooting precise tranquilizer darts, which was an insanely challenging task in itself. A dart landing in the wrong place could be fatal, and so veterinarians and conservationists were very rigorously trained for the job. So while shooting darts from a helicopter might sound fun, not just anyone can do it! Elephant tranquilizers are made from an incredibly strong sedative. Elephants have a very high tolerance, along with their thick skin, and so, tranquilizers must be highly powerful. The darts contained a specifically synthesized opioid, which is over 10,000 times more potent than morphine used for humans. One single drop of this chemical would end a human’s life almost instantly. However, for an elephant, it only knocks them out for a short period of time. In fact, an elephant’s tolerance is so high that this tremendously toxic sedative actually takes an average of four minutes to take effect! Those four minutes are crucial to their translocation efforts. Elephants can still cover a huge expanse in this time and so must be monitored carefully. 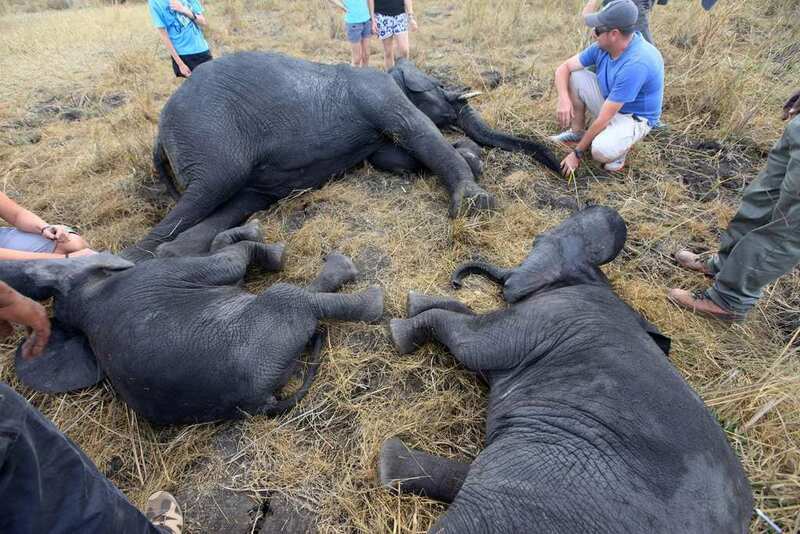 They were darted in such a way that should keep families of elephants close to each other to reduce stress, thus ensuring they stick together while the sedative kicked in, was extremely important. 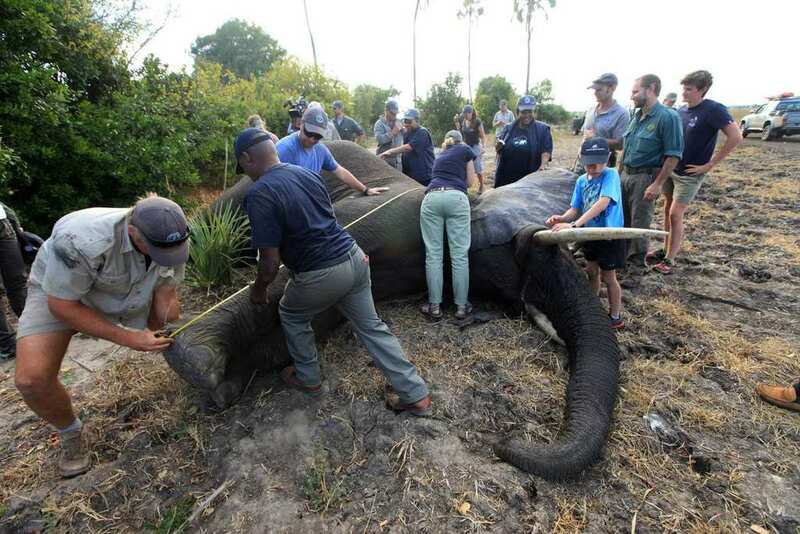 During this period in which the elephants were trying to fight off the effects of the tranquilizer, experts and veterinarians remained close by on the ground. 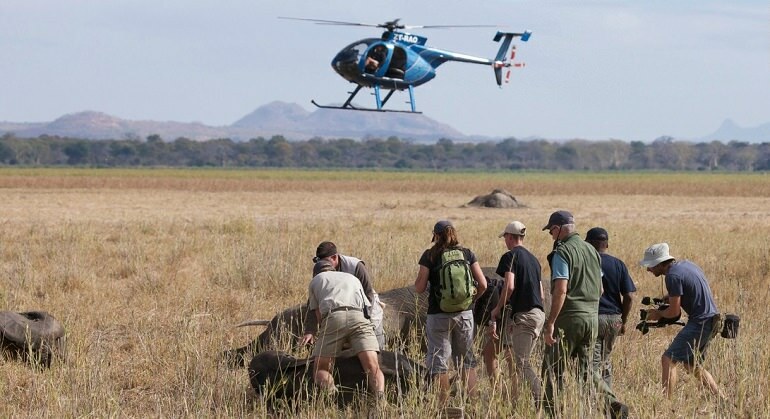 They radioed between each other and the teams in helicopters to carefully monitor the darted elephants. These team members on the ground played a vital role in ensuring that when the elephants lost consciousness, they did not get hurt by hitting their head, landed in water and drowning, or landing on their chests, which could crush their lungs. Once the elephants were out for the count, small sticks were placed in their trunks to keep their airways open, and their ears were flipped forward to protect their eyes from the sun. 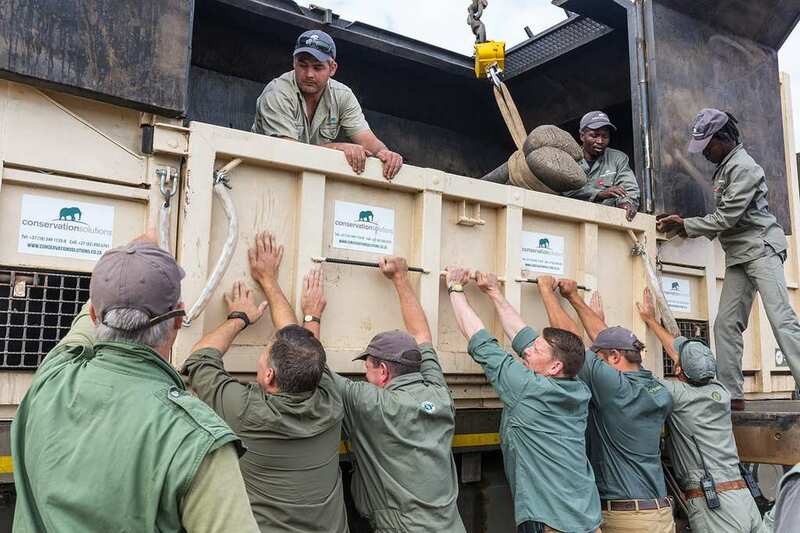 Specially made cranes then moved the elephants onto colossal recovery trucks. 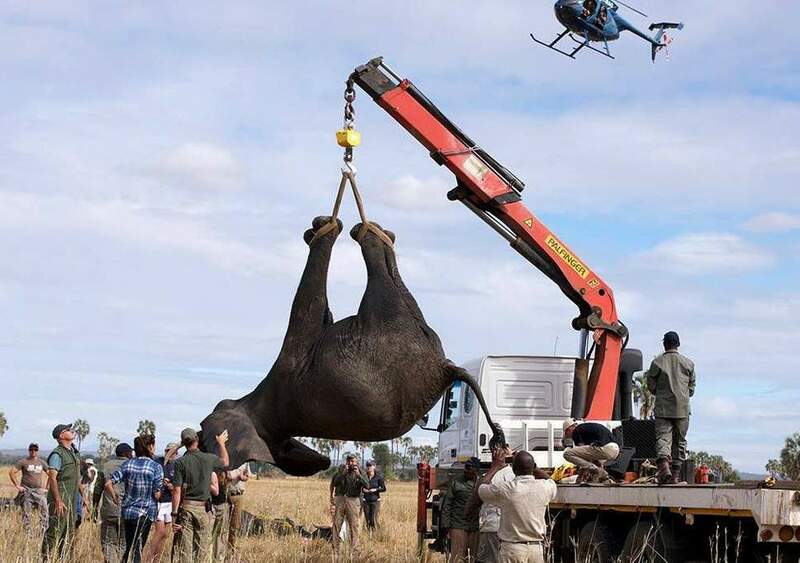 The cranes lifted each elephant one-by-one, by attaching ropes to their legs and hoisting them into the air, before placing them down on the truck. Once again, the crews were constantly monitoring each elephant and every movement to ensure their safety. The elephants were then moved into crates, alongside other members of their families to keep them more at ease. Once secured in these crates, they were given an antidote to the tranquilizer so that they began waking up. Although they remained placid for quite some time, the antidote allowed them to regain consciousness and stand up. The crates were loaded onto 30-ton trucks to start their travels across the country. The team continued monitoring the elephants for the duration of the 12-hour journey. When the elephants reached Nkhotakota, they were let out of the crates and into pens. These holding facilities were small areas for groups of elephants to stay, awaiting the wearing off of the anesthesia, secured by a perimeter of electric fencing. They were provided with food and water and kept in these facilities from 12 up to 24 hours, where they were, of course, monitored consistently, to ensure that none of the elephants experienced side effects of the sedative or severe stress from the journey. After this holding period, when it was confirmed that the elephants were in good health, they were released. Once let out of their pens, the elephants were free to roam the large sanctuary of Nkhotakota. The sanctuary is highly protected and secure, offering the elephants a natural environment and protection from poachers. 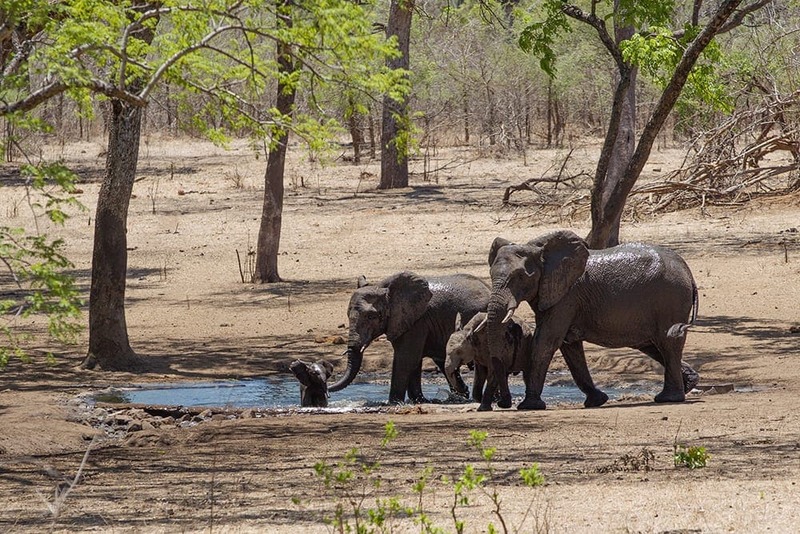 Here, the elephants can live a safe life, introducing a larger African elephant population back into Nkhotakota. In time, they will produce offspring, and the population can be on the rise once again. Meanwhile, an additional team was out capturing other game for translocation. 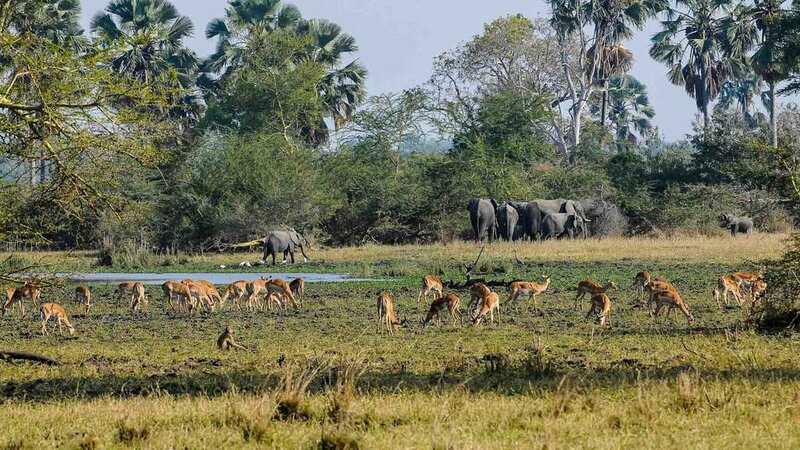 Approximately 2,000 other native animals, including warthogs, buffaloes, zebras, kudus, and waterbucks, were caught and relocated to the very same nature reserve in Nkhotakota. 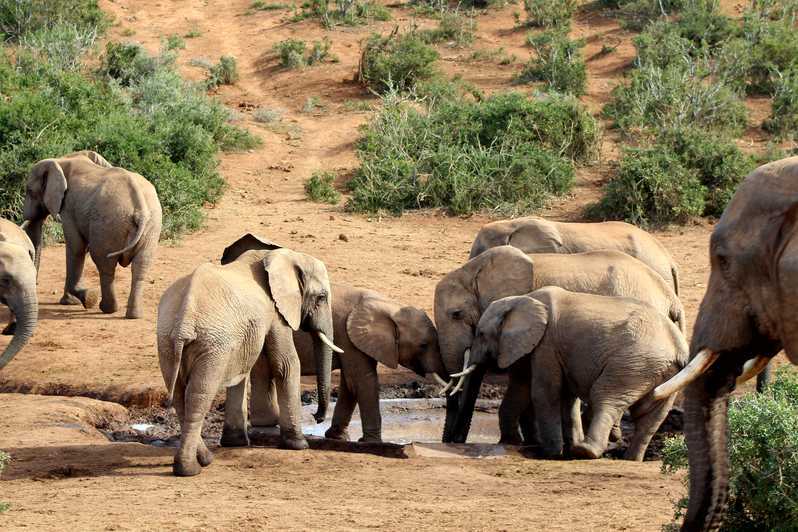 The sanctuary, therefore, became a real, authentic reserve, with various species of game, to live alongside the new – and old – elephant residents. All of the animals were free to roam together, as they did back in their homes of Liwonde and Majete, but this time, they were all safely protected. 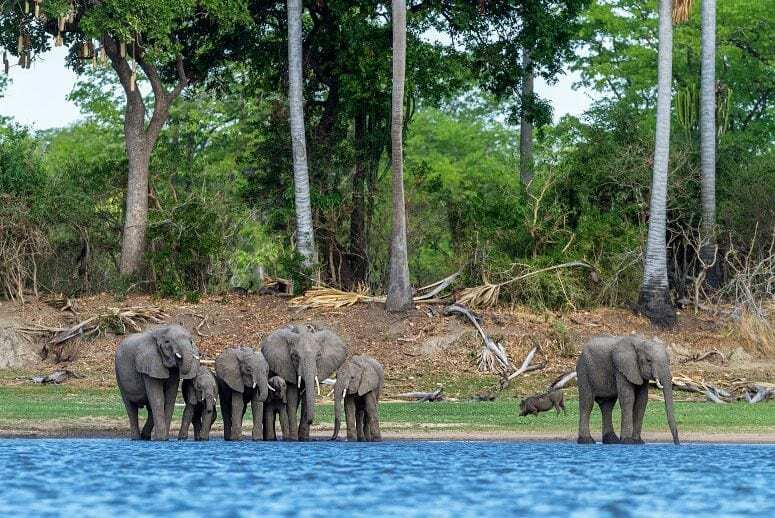 African Parks workers have high hopes that Nkhotakota will become one of Malawi’s leading elephant reserves, to not only protect its precious animals but also to increase tourism to the country. The reserve can also provide numerous employment opportunities to locals, making this project largely mutually beneficial. Officials from the organization have said they understand that saving the elephants is a decidedly intimidating load, but they’re hopeful that they can help the population make a comeback one day.